Set of two mills with ceramic grinders. 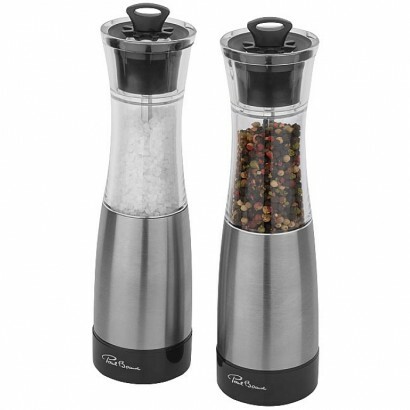 Peppercorns and salt are not included. Supplied in a Paul Bocuse gift box (size 13 x 6.7 x 23.5cm). Exclusive design. Stainless Steel and Acrylic. 426g. 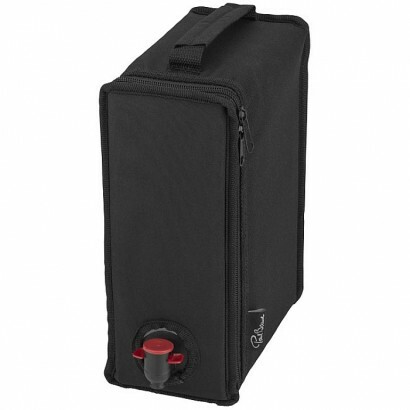 Keep your favourite bag-in-box wines chilled on sunny days. Simply take the wine bag out of the box and place it in the wine coat. Suitable to carry 3L bags and boxes (size 9 x 17.5 x 24cm). Supplied in a Paul Bocuse gift pouch. Exclusive design. Polyester. 128g. 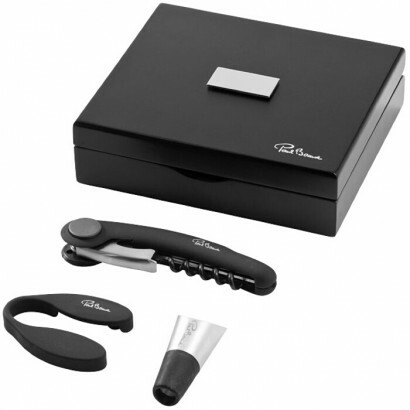 This wine set includes a corkscrew, foil cutter and wine pourer. 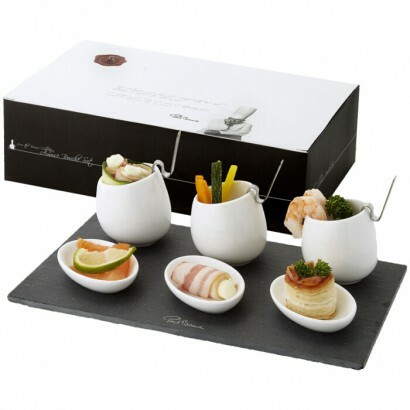 The wine set is presented in a wooden gift box with metal logo plate and packed in a Paul Bocuse gift box. PVC free. Exclusive design. Wood. 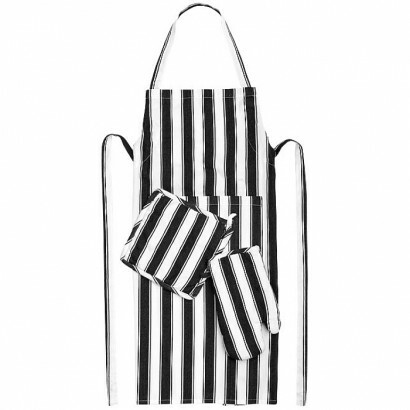 This gift set contains every chef's basics; an apron (size 100 x 70cm), oven glove (size 17 x 27.5cm) and pot holder (size 23 x 23cm) all in 280g/m2 cotton. Supplied in a Paul Bocuse gift pouch. Exclusive design. 100% cotton. 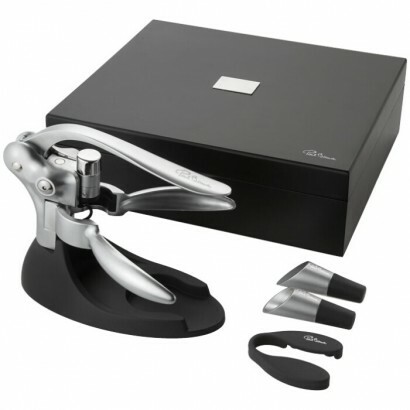 Luxury wine set including metal lever corkscrew with holder, pourer, bottle stopper and a foil cutter. 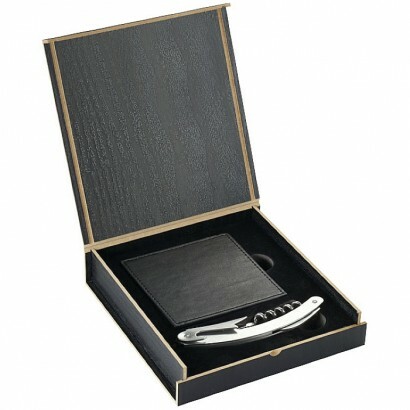 The wine set is presented in a wooden gift box with metal logo plate and packed in a Paul Bocuse gift box. PVC free. Exclusive design. Wood and metal. Set includes a stainless steel waitress corkscrew and four square coasters with fine detailed stitching around the edges and velvet flocked bottom. Presented in a wooden gift box including logo plate and Paul Bocuse gift box. Exclusive design. Wood, stainless steel and vinyl. 260. 6 stainless steel steak knives with unique design that enables the knife to stand on the table. Presented in a luxury Paul Bocuse gift box. PVC free. Exclusive design. Stainless steel. Offer guests a chef's selection of appetizers. This amuse bouche set consists of 3 porcelain bowls with stainless steel spoons and 3 porcelain plates elegantly presented on a slate plate. The set is presented in a Paul Bocuse gift box. PVC free. Exclusive design. Porcelain and slate. 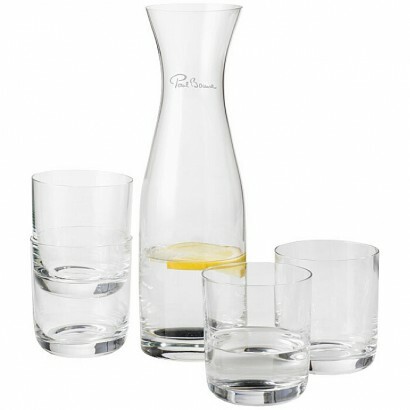 Serve in style with this glass carafe and 4 piece matching glasses. Volume of the carafe is 1000ml and volume of a glass is 370ml. Dishwasher safe. Presented in a Paul Bocuse protective drop box. Exclusive design. Glass. 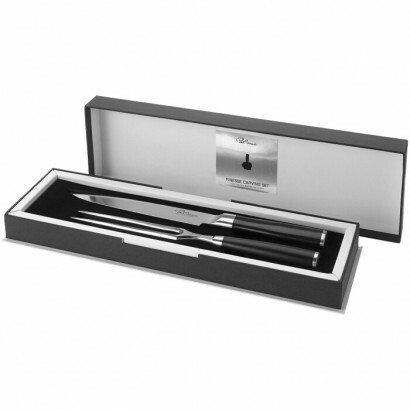 This carving set from the Finesse line is the perfect gift for every chef. 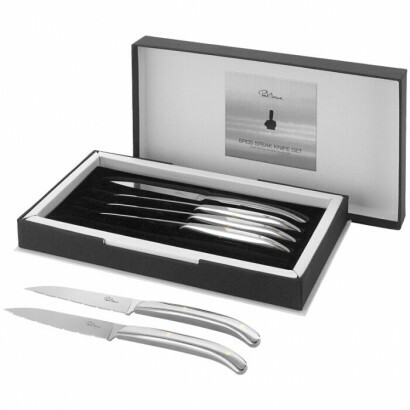 The carving knife and fork are made of high quality X50CrMoV15 stainless steel with ABS handle. The set is packed in a luxury Paul Bocuse gift box. PVC free. Exclusive design. Stainless steel and ABS. Carving set for ease of use when carving poultry and roasts. 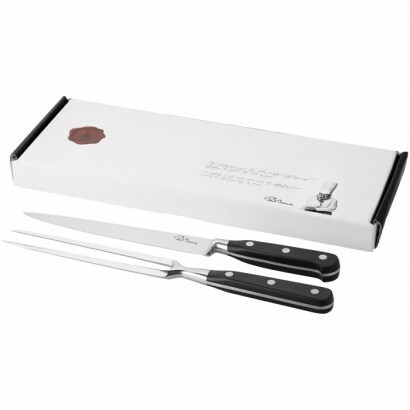 8'' Carving knife and fork with stainless steel blade and ABS handle. Presented in a Paul Bocuse gift box. PVC free. Exclusive design. Stainless steel and ABS. 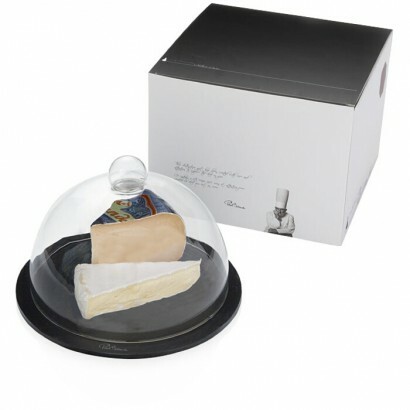 Elegant glass cheese cloche presented on a slate base and packed in a Paul Bocuse gift box. PVC free. Exclusive design. Slate and glass.